Today, Thorpe Park have revealed they intend to declare independence from the United Kingdom and become its own independent country. Following much uncertainty about the UK's future in the EU, the park have decided to become an independent state and join the EU. A spokesperson for the park said "We understand some people don't want to leave the EU, whilst some people do. For those that want to stay, the Island Like No Other has you covered - you can stay as an EU citizen and have Thorpe nationality!" The park have also said that non-EU citizens 'won't need a passport', saying they've agreed a special pact with the European Parliament. That way, those who do want to stay in the UK and leave the EU can still get their thrill fix. For those wanting Thorpe nationality, the park is willing to grant it to anyone. 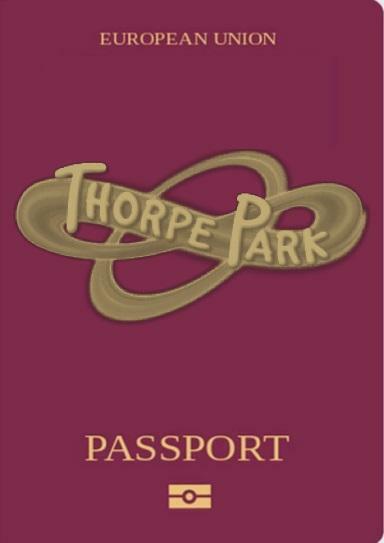 All you need is a Thorpe Passport, which comes in the form of a day ticket or Annual Passport. We even have a language like no other - but you'll be able to pick it up "quite quickly" according to the park. The spokesperson continued "Our negotiations with the EU over "Thorpexit" have been negotiations like no other. We hope that citizens on the Island like no other will live a life like no other, and that UK citizens will enjoy a holiday like no other without needing to get Euros!" We also understand the resort are in the advanced stages of planning an extension (doubling the amount of available rooms) to their onsite hotel, The Thorpe Shark hotel in order to make room for those wishing to live on the island as permanent residents.